This is by far the nicest watch. Light weight, slim and easy to see the time. Its a no brainer...buy it! 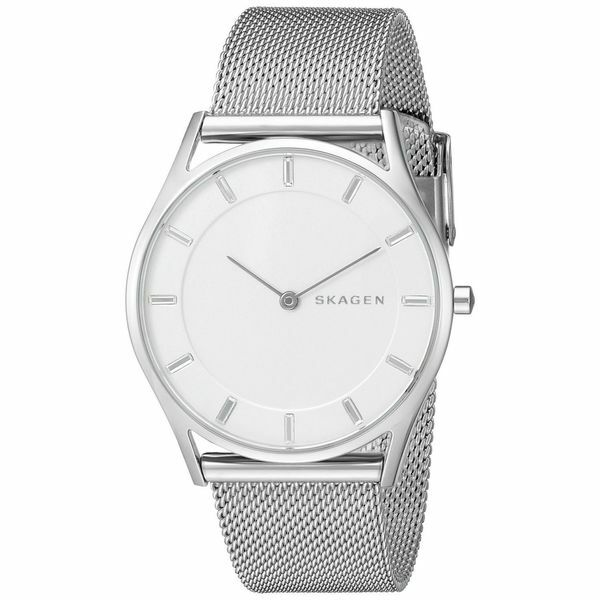 Fashion forward design and technical mastery, Skagen watches offer elegance, functionality and durability that is affordable and luxurious. This women's watch from the Holst Slim collection features a stainless steel bracelet and silver dial. "How big is the face of the watch?"